Ruby’s graffiti-strewn ceiling, copper-topped bar, saloon mirrors and humble jumble bar art make for down home decor, but the true soul of this weathered juke joint comes from its patrons: workaday men and women who come to boogie, hoot and holler. 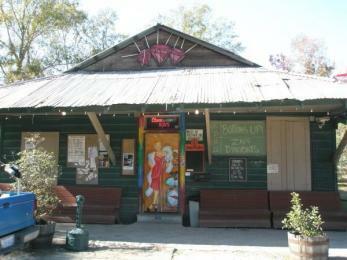 Weekdays, this 60-plus-year-old building at the edge of Old Mandeville serves as a watering hole for local Joes. 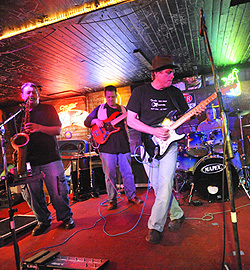 But when music takes center stage (Thursday-Saturday), Ruby’s really simmers. Floorboards sag beneath twirling dancers ands moke envelops the audience. An outside patio provides a great escape from the crowd or a perfect place to recharge between sets. Inside, the high-energy action goes ’til 2am, so ration your dance power.